The Kingsbridge Armory, also known as the Eighth Regiment Armory, is located on West Kingsbridge Road in the New York City borough of the Bronx. It was built in the 1910s, from a design by the firm of then-state architect Lewis Pilcher to house the New York National Guard's Eighth Coast Defense Command (258th Field Artillery Regiment after November 1921), a regiment-sized unit which relocated from Manhattan in 1917. It is possibly the largest armory in the world. In addition to its military function, it has been used over the years for exhibitions, boxing matches, and a film set. After World War II the city offered it to the United Nations as a temporary meeting place. In 1974 it was designated a city landmark, and eight years later it was listed on the National Register of Historic Places. Its military use ended and it was turned over to city management in 1996. Since then it has remained vacant as various proposals to redevelop it have failed. One such proposal, by the administration of former Mayor Michael Bloomberg, turned into a dispute over living wage policies. In 2013, a new plan to redevelop it as the world's largest indoor ice center was announced, called the Kingsbridge National Ice Center. One National Guard unit has continued to use an annex in the rear until a new headquarters can be found. The armory complex occupies almost the entire 5-acre (2.0 ha) block between West Kingsbridge on the south, Jerome Avenue on the east, West 195th Street on the North and Reservoir Avenue on the west. Barnhill Square, the junction of Kingsbridge and Reservoir, is on the southwest corner. Above Jerome is the Kingsbridge Road station on the IRT Jerome Avenue Line New York City Subway's 4 train, from which the armory's west end is visible. An empty moat runs across the front entrance of the building. There are parking lots and sidewalks along the side. In the center of the north side, on West 195th, are two smaller buildings, one a garage and the other a locker room and classrooms. Both are considered non-contributing to the Register listing. On the north are public schools 86 and 340, with Jerome Park Reservoir to the northwest and Lehman College of the City University of New York about a block north. On the other three sides is dense urban mixed-use development. St. James Park is a few blocks to the southeast, and the James J. Peters VA Medical Center, overlooking the Harlem River and Major Deegan Expressway (Interstate 87), two blocks to the east. The terrain slopes slightly toward the river. The building itself is a nine-story red brick edifice with a curved, sloping metal roof, with glass in the field at either end. Its brickwork has been considered among the city's finest. Stone is used for trim, especially around the slit windows at regular intervals. A corbeled stone string course runs below the parapeted roof the length of the building. Above the corbels, and at the corners, are turrets. In the middle of the south elevation is the two-story office wing and main entrance, a section known as the headhouse. Two semi-engaged towers with conical roofs rise at its front above the roofline. The transition to the office wing from the main wall is marked by angled walls, two low round towers with conical roofs and cupolas and two square towers. Between them is the main entrance, a round arch with heavy iron gates and paneled double doors with stone steps and walls. They are topped with a stone projection on corbels and a crenellated parapet. In the brick above the entrance is the regimental motif in terra cotta, a shield over an eagle with draped flags. Inside is a 180,000-square-foot (17,000 m2) drill hall and an 800-seat auditorium. A four-centered double truss 100 feet (30 m) high spans the ceiling. Two cellar levels, which used to house military vehicles, also provide space for storage, lecture halls, and fitness rooms, that included a basketball court and a 400-foot (120 m) shooting range. In the office wing, the entry hall has square brick piers supporting the segmental arches that frame the groin vaults. Brick quoins decorate the piers and intrados. The commander's office, upstairs, is done in the Colonial Revival style, with engaged columns, fielded panel walls and an Adamesque fireplace mantel. Architect Lewis Pilcher's design was an engineering feat, probably inspired by the large trainsheds of contemporary railroad stations. Six years after its 1917 completion, the Architectural Record described it as epitomizing "simplicity, directness, convenience, and adaptation to special requirements". The Record quoted Pilcher himself as saying it was "perhaps the most interesting of all the armory designs in the country. The necessities of mobilization ... were successfully met." Subsequently, it has been described as "schizoid", appearing as "two distinct and incongruous buildings." The medieval architecture of the office wing echoed social concerns of the 1880s, when the National Guard was frequently called out to suppress civil unrest such as strikes. The towers and crenellation suggested the authority and power of the military of an earlier time. By the early 1910s, the Guard was more integrated with the Army, and their units became more focused on national defense purposes, training and equipping for the battlefield instead of the streets. The design of the drill shed reflects this changing function, its steel and glass making the whole a stylistic hybrid similar to the Brooklyn Bridge and the 1901 Squadron C Armory in Brooklyn, also designed by Pilcher's firm, the first armory in which the steel drill hall is a prominent element when seen from the outside. "It points toward a moment when historical ornament will be stripped away," writes David Bady of Lehman College, "leaving engineering to be admired as architecture." The Eighth Regiment New York State Militia traces its lineage from units constituted in 1786. Since it was part of the honor guard at George Washington's inauguration, it later acquired the informal name of the Washington Greys. Since 1895, it had been based at the old Squadron A Armory on Park Avenue in Manhattan. In 1911 the New York State Legislature authorized the construction of a new armory using what had already been excavated as the planned eastern basin for Jerome Park Reservoir. Some military artifacts were unearthed, probably from the nearby sites of Revolutionary War forts Independence and Number Five, but no formal archeological survey was done. The firm of Lewis Pilcher, who became state architect two years later, was commissioned. During World War II the armory was active in the war effort. Herbert Lehman, a former governor and U.S. Senator, ceremonially reviewed 10,000 troops there at a 1942 event. It was one of the few registration sites in the city for immigrants from enemy nations. After the war the city offered it to the United Nations General Assembly as a temporary meeting place until the main UN building was finished. In 1957 the two rear buildings were constructed. It was designated a city landmark in 1974. At that time the city's Landmarks Preservation Commission called it "an outstanding example of military architecture." Over the years following, the main armory building was neglected, and by the 1990s, the Guard units who called it home were running most of their operations from the annex buildings on West 195th. For a period in the 1980s it was used as a homeless shelter. In 1994, one of the community school districts proposed that new schools be built on the site. The state Division of Military and Naval Affairs transferred title to the armory and its property to New York City two years later, whereupon the city began trying to find a new location for two of the three units that trained at the armory. As early as 1994 community activists had agitated for all or some of the armory to be adapted for school use, due to overcrowding of other nearby schools. Local opposition in 2000 stopped a redevelopment plan that did not include schools. Afterwards, they persuaded the city to spend $31 million replacing the armory's roof and making other repairs. After all Guard units save the 258th Field Artillery Regiment, the descendant of the original Eighth Regiment, left, the city gave a grant to a local nonprofit, the Bronx Overall Economic Development Corporation (BOEDC), to come up with a plan for reuse and redevelopment. It was estimated that structural repairs alone would cost as much as $40 million. Proposals ranged from the school plan to one from City Councilman G. Oliver Koppell to develop it into an amateur athletic center. A BOEDC official likened the process to "dealing with several buildings in one." The armory had always been available for temporary uses. Over the years it had hosted dog and boat shows, as well as boxing matches. In 2006 Warner Bros. rented the armory for six months to make the Will Smith film I Am Legend. It was used for both preproduction and principal photography, with sets built for scenes set in Washington Square Park. The music video for the song "Just Tonight" by rock band The Pretty Reckless was filmed at the armory in 2010. In 2008, as the city prepared to announce the winning bidder, local activists, community groups and labor unions formed the Kingsbridge Armory Redevelopment Alliance (KARA) to pressure the city for a Community Benefits Agreement (CBA) as part of the project. A CBA would have required living wage provisions and union representation not only for any construction work but for jobs with any tenants. KARA also sought to have schools included in the plan, which city officials said was impossible. The winning bidder, The Related Companies, pledged to invest $310 million in redeveloping the armory into a shopping mall complex. The company already had negotiated a CBA for its Gateway Center at Bronx Terminal Market, but never reached any agreement with KARA for the armory, saying its wage demands would have made it impossible to attract tenants. Concerns were also raised about traffic issues a mall might create. 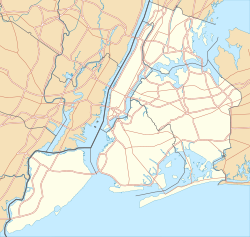 In 2009, opposition was strong enough that when the city's Planning Commission approved the project, the vote by the usually unanimous body split 8-4 with one abstention, with representatives appointed by the Manhattan and Queens borough presidents joined their Bronx counterpart and the Public Advocate's representative. In 2010 the full City Council rejected the plan by 45-1, with one abstention. Mayor Michael Bloomberg expressed disappointment that the proposal had failed, one of the rare redevelopment proposals from his administration to suffer that fate. The mayor's veto was overridden 48-1, with an abstention, a week later. Related blamed its failure on KARA's wage demands. The activist group said it was "one step closer to achieving a redeveloped Armory that truly benefits the community." Residents of the area were defiant. "We're not suckers in the Bronx," one said. "We're not going to take whatever somebody is offering." Some said they felt the neighborhood needed schools more than malls. Bronx Borough President Ruben Diaz, Jr., made the defeat of Related's plan the starting point of a campaign to get living-wage legislation enacted citywide for taxpayer-subsidized projects. Bloomberg later blocked plans to move the Guard unit still at the armory to another facility in the borough, and advocated for opening a homeless shelter in the other annex building, a move perceived as retaliation. Governor-elect Andrew Cuomo named Diaz to his transition team on economic development, which was also seen as a message to Bloomberg. Efforts to plan a redevelopment of the armory continue. In fall of 2010, Diaz's office retained graduate students and faculty in the Capstone Program at New York University's Wagner School of Public Service to develop a plan. Diaz later skipped a meeting with Bloomberg's deputies as a protest against the mayor's plan to use the armory as one of several new homeless shelters. In 2012 a new redevelopment proposal was announced. A Deutsche Bank group proposed what it claimed would be the world's largest indoor ice rink complex, called the Kingsbridge National Ice Center, with nine ice rinks and 5,000 seat ice hockey arena in. Two New York skating stars, New York Rangers icon Mark Messier and Olympic gold medalist Sarah Hughes, served as spokespeople. Diaz has given it his endorsement as well, although residents of the area were less enthusiastic. After review by the New York City Economic Development Corporation, Bloomberg and Messier appeared at a press conference in April 2013 to announce the city and the developers had reached a deal, which still required the approval of council. ^ a b c d e Covell, Anne (August 18, 1982). "National Register of Historic Places nomination, Eighth Regiment Armory". New York State Office of Parks, Recreation and Historic Preservation. Retrieved December 4, 2010. ^ a b Rahimi, Shadi (2008-02-06). "National Guard Clings to a Bronx Redoubt". The New York Times. Retrieved 2010-05-01. ^ a b c d e f g h i New York City Landmarks Preservation Commission; "Kingsbridge Armory" (PDF). ; September 24, 1974; retrieved December 5, 2010 from the Neighborhood Preservation Center website. ^ a b c d Holloway, Lynette (2008-02-06). "NEIGHBORHOOD REPORT: KINGSBRIDGE; Armory's Uncertain Future". The New York Times. Retrieved 2010-05-01. ^ a b c d Bady, David. "Lehman College Art Gallery: Architecture/Kingsbridge Armory". Lehman College. Retrieved December 7, 2010. ^ a b c Bleyer, Jennifer (November 5, 2006). "An Armory, Long on Furlough, Soon to Get Its Orders". The New York Times. Retrieved December 5, 2010. ^ a b Pristin, Terry (June 25, 2008). "Bronx Groups Demand a Voice in a Landmark's Revival". The New York Times. Retrieved December 6, 2010. ^ Lombardi, Frank (January 26, 2006). "Armory's a Fright Site! Will Have Role in Vampire Flick". New York Daily News. Retrieved December 7, 2010. ^ Lombardi, Frank; Egbert, Bill (October 20, 2009). "Kingsbridge Armory plan draws flak from critics as City Planning approves shopping mall plan". New York Daily News. Retrieved December 6, 2010. ^ a b c Dolnick, Sam (December 14, 2009). "Voting 45-1, Council Rejects $310 Million Plan for Mall at Bronx Armory". The New York Times. Retrieved December 6, 2010. ^ a b Dolnick, Sam (2009-12-21). "City Council Overrides Bloomberg Veto on Kingsbridge Armory". The New York Times. Retrieved 2018-02-18. ^ Kappstatter, Bob (November 16, 2010). "Andrew Cuomo takes a dig at Mayor Bloomberg by appointing Ruben Diaz Jr. to transition team". New York Daily News. Retrieved December 6, 2010. ^ Kratz, Alex (October 14, 2010). "NYU To Focus on Kingsbridge Armory Redevelopment Plan". Bronx News Network. Retrieved December 6, 2010. ^ Kratz, Alex (November 4, 2010). "Bronx, Mayor Disagree On Plan To Bring Schools to Armory". Bronx, NY: Norwood News. Retrieved December 6, 2010. ^ Hu, Winnie (April 24, 2013). "Plan for Ice Center in Bronx Armory Moves Forward". The New York Times. Retrieved April 24, 2013.